Apple on Tuesday announced a partnership with a French vocational school to teach Apple's Swift, the open-source programming language used mostly for the company's own app platforms. The program should launch in conjunction with Simplon in Paris and Lyon in January, Apple said, before expanding elsewhere in the country. It's expected to reach over 1,600 people in the first two years. Simplon positions itself as a "network of social digital factories," specifically focused on training underrepresented groups. "Our trainees are refugees, adolescents marginalized by the school system, children, long term job-seekers, or employees in reconversion," it says. Participating students will find themselves in a four-week program developed by Apple in conjunction with educational experts. It will add on to Simplon's existing Web development program, which runs for seven months. Apple will also provide teacher training, funds for recruiting more teachers, and access to the Macs, iPads, and iPhones needed by students. The company has been aggressive about expanding Swift education around the world, targeting high schools and colleges as well as casual learners. Most recently it ran continuous coding workshops across all of its European stores to mark EU Code Week. 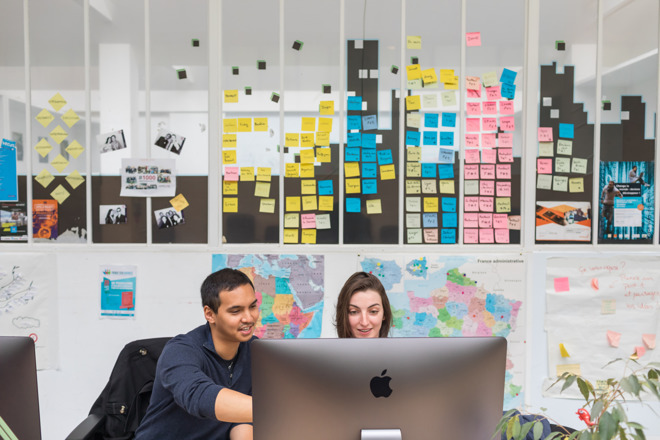 It also operates "app accelerators" in places like India, and an Italian "Developer Academy" run in partnership with the University of Naples Federico II. The latter offered just 400 spots for its 2018 enrollment. While Apple has positioned its efforts as altruistic, teaching Swift helps foster more app development for its hardware and cements its platforms as industry standards. It may even help produce future programmers for the company's workforce.